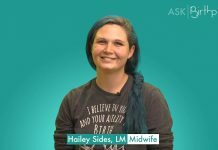 ASK: How long should my baby stay under water during a water birth? 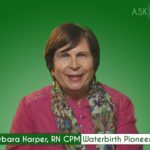 ASK: My partner does not want to have a water birth. What can I say to him because I do want one? ASK: Should I be concerned about my baby’s gut flora being affected by having a water birth? 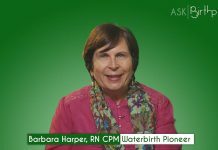 ASK: Why would I consider a water birth or getting into water for my labor? ASK: What might my birth plan look like if I am delivering at home? How do I make sure people see it?